Compound Limits: Safety limits need to be determined for each compound that can come off of a medical device during use. Currently, Ethylene Oxide (EO) gas is the only compound listed in an ISO standard that has a residual limit. However, the plasticizer diethylhexyl phthalate (DEHP), a plastic compound used in medical devices such as tubing, will likely have a limit set in the future. Cytotoxicity Test: A test wherein a device, or portion of a device, is applied to living cells to see how the cells react to the materials used in the manufacture of the device. This is considered the most sensitive biocompatibility test and is a great screening tool for medical devices. 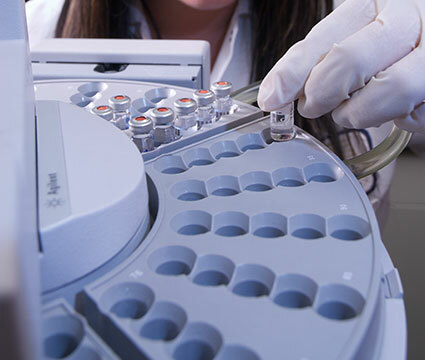 The current cytotoxicity tests are qualitative; however the standard is now emphasizing the use of a quantitative version of the cytotoxicity test. The early results from these quantitative methods have shown an increased sensitivity over the qualitative methods. A series of round robin tests are being planned to verify that the quantitative test method is consistently more sensitive. These tests will then be followed by a discussion of clinical relevance of making the test more sensitive. Different Population Limits of Chemicals: A person’s healthy limits for chemical exposure from using a medical device can vary depending on body size. For this reason, new standards for these limits are being discussed to introduce new limits according to the physical characteristics of the target population of the intended recipient. Currently, the industry standard is set for an average person weighing 70 kilograms (154 pounds), much higher than the weight of a child or infant. The new standard will consider the weights of intended populations, such as small children and infants. Gas Path Devices: When using delivery systems that are intended to supply gases needed for medical purposes, compounds from those devices can come off and enter the human body. For this reason, it is necessary to standardize the effects of these compounds, in addition to the amount of compounds that will be allowed to be released during use. Standards are reached through global consensus and serve to make the industry more efficient and effective, in addition to providing additional safety. As these standards are implemented, Nelson Laboratories will ensure the standards are met with the same quality as before.